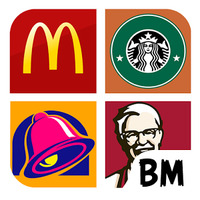 "See how many restaurants you can identify!" Main features of What Restaurant ? What Restaurant ? is related to Android games, Simulation Games, Puzzle Games. Installation requirements: A minimum of 18.47 MB of free memory space and Android 2.3.3 or higher. Do you like What Restaurant ?? 2 Opinions about What Restaurant ? Love it Never messes up so awesome !!!!! Questions and opinions about What Restaurant ?